This image shows the first ever look at a black hole, which looks like a flaming ring of yellow and red. The black hole, described by scientists as a “monster”, is 24billion miles across – 3million times the size of the Earth. It is a LONG way away from here though, at about 300 million trillion miles. 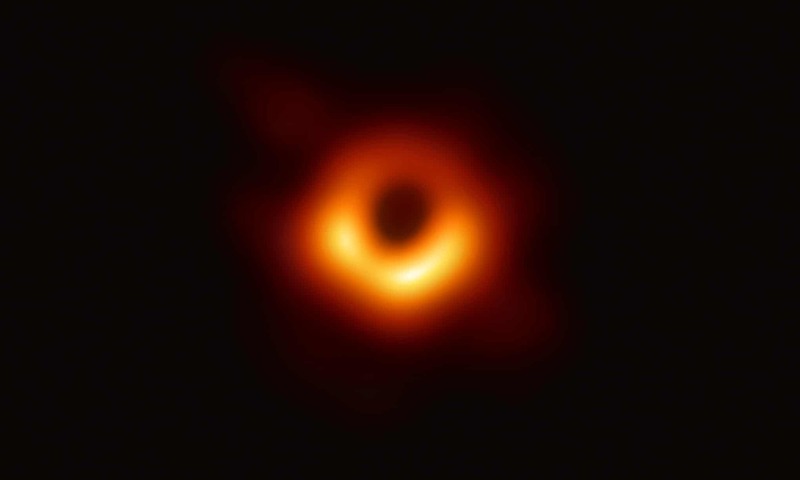 It was photographed by a network of eight telescopes across Earth known as the Event Horizon telescope. The telescope is made up of a series of radio telescopes which are positioned all over the world. When used conjunction, they have the power of a single telescope “the size of our planet”, scientists have said. Jessica Dempsey, a co-discoverer and deputy director of the East Asian Observatory in Hawaii, said that when she first saw the image, it reminded her of the powerful flaming Eye of Sauron from the “Lord of the Rings” trilogy. Hey, What’s Up With The Planets In Star Wars?